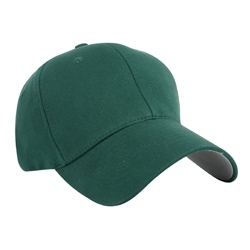 As an alternative, there are a couple not so well known Flex Fit style hats that offer a good quality feel, have some performance fabrics available, but mainly are in a solid color or mesh back style. Finally, for larger quantities and the less discerning taste, the custom overseas route is an option, particularly when price is the driving factor. In conclusion custom flex fit hats are one of the most popular style hats in the industry and one that continues to pick up steam. Over 10 years ago it was a small percentage of the overall market but now I would estimate 30% of the market is custom flex fit hats. Personally, I like the hats alot and recommend them to anyone who asked me for advice. I believe that quality as well as how they feel when you wear a fitted hat is a major reason for the overall success. I also believe that once someone experiences the quality factor they are not going back to traditional hats!